Welcome to our online gallery featuring more than 1,000 digitized portraits from the Poetry Center’s LaVerne Harrell Clark Photographic Collection. 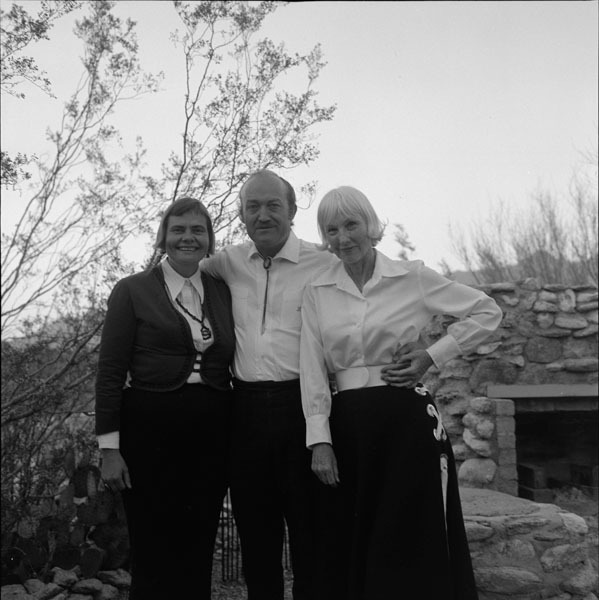 The LaVerne Harrell Clark Photographic Collection was generously donated to the University of Arizona Poetry Center by LD Clark for the estate of LaVerne Harrell Clark. An additional generous gift from LD Clark supported the digitization of negatives from the collection. The online gallery was launched in August 2016 by the Poetry Center’s library staff: Librarian Wendy Burk, Library Specialist Sarah Kortemeier, Senior Library Assistant Julie Swarstad Johnson, and Writer as Citizen intern Saraiya Kanning. Poetry Center Executive Director Tyler Meier provided exemplary leadership, guidance, and support. Former Executive Director Gail Browne and former Senior Librarian Rodney Phillips were responsible for bringing the LaVerne Harrell Clark Collection to Tucson, and were the guiding lights of the project in its most critical stages. Grateful thanks to the family of LD and LaVerne Harrell Clark, especially Colleen and Keith Carri; to College of Humanities Computing Services Director Bart Rossmann, Senior IT Support Analyst Ben Bessick, Web Site Designer/Developer Jessica Draper, and Application Systems Analyst/Developer Kavitha Kizhakke Pattah; to the many Poetry Center volunteers and interns who have worked with the collection, including Christina Smith and Anna Streight; and especially to the archival processors of the LaVerne Harrell Clark Collection, Archivists Pamela Pierce and Erin Renee Wahl. The enthusiasm, support, and expertise of these special people made this online gallery possible.